Is your child’s nutrition becoming a confusing puzzle? “Because kids can be erratic in their eating habits and because there are more toxins that a child must fight, quality supplementing is important. You should ensure your child is obtaining nutrients from three basic categories: Multivitamin, Calcium and Vitamin D, and Omega-3 essential fatty acids. Kids today are overfed and undernourished and studies show they are often not receiving enough of the basic important nutrients in their diet. There is increasing concern about vitamin D deficiency with kids and many children are not getting enough calcium in their diets. Omega-3 essential fatty acids are of key importance and support brain development and heart health. Look for pharmaceutical –grade products with guaranteed potency and quality”. 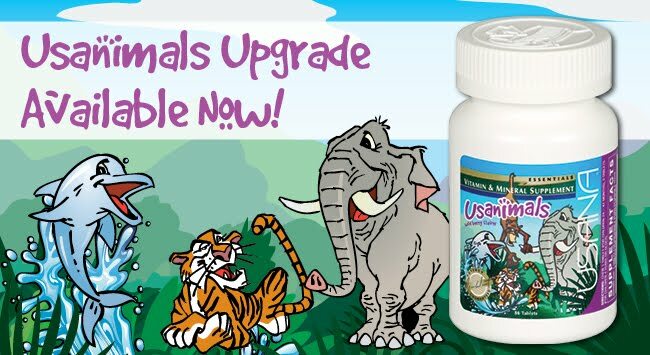 USANA’s Usanimals is a balanced formula that supports healthy growth and development in children with an excellent range of essential vitamins, minerals, and antioxidants your child needs for healthy immune function and energy levels, bone support, growth and development. What we need? Why we need it? The upgraded formulation includes increased levels of Vitamin D which helps calcium absorption, and is key to maintaining healthy bone and skeleton structure; Vitamin B12 that helps with the brain and nerves, and supports the body’s energy production; Calcium that supports bone and joint health and strong teeth; and Magnesium that supports muscle function and bone health. The formulation now includes: Molybdenum - an essential trace mineral; Iron that is primal since iron deficiency is known to be common in children; and Selenium that functions as an antioxidant in the body's defence system. 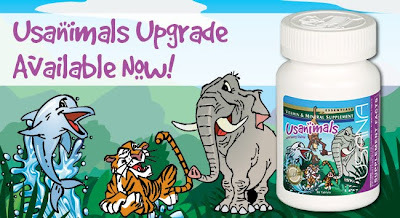 Usanimals will be a sure hit with children – they will love the fun animal shapes stamped on round easy-to-eat chewable tablets, with a great Wild Berry flavour. Free of artificial flavours and sweeteners, that will keep parents happy too! Supports immune health with vitamins D & C, selenium, zinc. 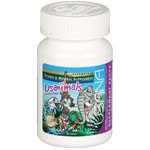 The Usanimals along with BiOmegaTM Jr. now form the perfect nutritional regime for children. Get them started on Usanimals today, and set your mind at ease. Choking hazard - not suitable for infants or toddlers less than 2 years old.